For undergraduate/graduate courses in Latin American Philosophy, Latin American Thought, Multicultural Philosophy, Latino Culture and Civilization, and Hispanic Culture and Civilization in the Departments of Philosophy, Latin American Studies, Political Science, Romance Languages, and Chicano Studies. 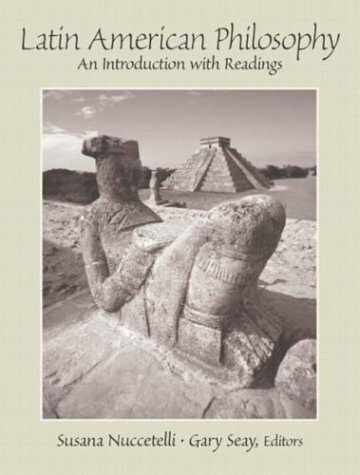 The most comprehensive anthology in its field, Latin American Philosophy: A Reader offers the reflections of Latin American thinkers on the nature of philosophy, justice, human rights, cultural identity, and other issues that have faced them from the colonial period to the present day. Has the Self Free Will?